Many people struggle with IRS rules concerning ­withdrawals from tax-­deferred retirement accounts. 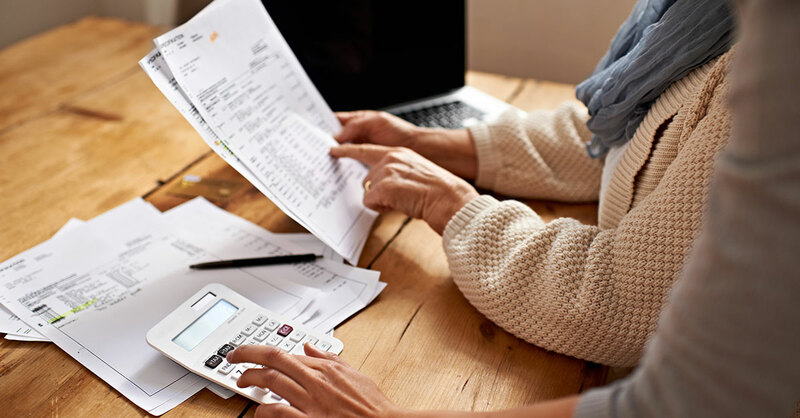 Whether or not you actually are retired, when you turn 70½ you typically must begin to take required minimum distributions (RMDs) from those accounts each year. It’s easy to make costly mistakes, including one you might make in the years leading up to age 70½. In the latest audit of retired taxpayers, from 2012, the federal government identified nearly 639,000 people with IRAs worth a total of $40.4 billion who may not have taken the correct RMDs. Penalties for making RMD mistakes are severe. If you fail to withdraw the required amount by the deadline, you could be fined 50% of the amount that you should have withdrawn. Mistake: Not tapping tax-deferred ­accounts until you start to take RMDs. Many people draw on taxable savings early in retirement to let their tax-­deferred savings grow as much as possible. But that strategy can hurt you in the long run because it increases the proportion of your assets that will later be subject to RMDs—perhaps even leading to RMDs in your 70s that are large enough to push you into a higher tax bracket. Also, an increase in your annual income from RMDs could trigger higher taxes on your Social Security benefits and a Medicare high-income surcharge. Better: If you find that you have dropped into a lower tax bracket in your 60s after you retire, consider taking a series of distributions from tax-deferred accounts. Over time, these withdrawals will shrink the size of those accounts, resulting in lower eventual RMDs. If you don’t need the distributions you take before age 70½ to live on, they can be converted to a Roth IRA, which never requires RMDs, or invested in a taxable investment account on which you will owe capital gains tax, not income tax, on profits. Mistake: Postponing your first RMD. Typically, the deadline to take RMDs each year is December 31 starting in the year in which you turn 70½. But the IRS gives you a cushion for the first one, allowing you to make your first withdrawal as late as April 1 of the year after the calendar year in which you turn 70½. Many people who want to put off starting RMDs opt to wait until this April 1 deadline. But that means you will be making two RMDs in a single year because your second RMD is due by December 31 of that year. Reporting two RMDs on your income taxes in the same year could bump you into a higher tax bracket for that year. Better: Take your first RMD by December 31 of the year in which you turn 70½, not the following April 1. That way, you spread your first two distributions over two tax years. Mistake: Not understanding the different rules for taking RMDs from employee retirement plans such as 401(k) and 403(b) accounts versus IRA-based accounts such as traditional IRAs, SEP IRAs and SIMPLE IRAs. The IRS requires you to calculate the RMDs and withdraw the money from your IRAs and employee retirement plans separately. This means that you can’t, for example, take a distribution from an IRA to satisfy the RMD for your 401(k) account. If you have multiple IRAs, the IRS allows you to take the entire RMD for all your IRAs from just one of the accounts if you wish. However, if you have more than one 401(k), you must calculate the RMD separately for each account and take the required amount from each one. If you’re still working at age 70½ and you do not own more than 5% of the company you work for, you aren’t required to take RMDs from your retirement account in that current employer’s plan. You are eligible for the “still-working” exemption, as it’s known, even if you just work part-time. In fact, you can delay RMDs from that account until April 1 of the year after the year you stop working for the company. Important: You are required to take RMDs from traditional IRAs and previous employers’ 401(k)s even if you are still working. What’s the total value of my retirement accounts? Your RMDs are based on the balance in your accounts as of the end of the previous year. What’s my official life expectancy? To find out, consult the IRS table based on your current age. Most seniors use the Uniform Lifetime Table (Table III) in Appendix B of IRS Publication 590-B, Distributions from Individual Retirement Arrangements (IRAs). You divide the balance in your accounts as of the end of the previous year by your life-expectancy factor from this table to determine the minimum distribution you must take. Mistake: Not realizing that you might be able to get RMD penalties dismissed. The IRS can waive part or all of the daunting 50% penalty on any shortfall in your RMDs for “reasonable” errors. In my experience, you have a good chance to get a waiver for errors that include bad or incorrect advice from a financial adviser, illness, a death in the family or a change of address that disrupted communication. Steps to take to get a waiver: If you get an IRS notice of failure to meet your RMD, don’t pay the penalty. Instead, double-check your RMD calculation to be sure it’s accurate. Remove the shortfall amount from the appropriate retirement account or accounts as soon as possible. Then file Form 5329, Additional Taxes on Qualified Retirement Plans (including IRAs) and Other Tax-Favored Accounts, with the IRS and include a statement of explanation that includes a request that the penalty be waived. Mistake: Forgetting the “I” in “IRA.” Married couples often assume that because they file a joint tax return, they can choose from which spouse’s IRA to take both their RMDs. But there’s no such thing as a joint IRA or joint 401(k). RMDs must be calculated and withdrawn separately from each individual’s account or accounts. Mistake: Thinking RMDs must be in cash. The IRS allows you to take “in-kind” RMDs so that you are not forced to liquidate the assets just to raise cash for your distribution. How it works: Say you own shares of stock, a fund or another security that has fallen greatly in value, but you expect it to recover. If you sell the stock in your retirement account and take a distribution, you have locked in your losses. Instead, set up a taxable brokerage account and have the shares transferred into it. You’ll have to pay ordinary income tax rates on the value of the shares as of the day of distribution. But after you have held the shares in the taxable account for more than a year, any post-transfer appreciation will be treated as long-term capital gain with a tax rate as low as 0%, depending on your other income. Mistake: Thinking that you can withdraw amounts exceeding your annual RMD and get credit for next year. You’re allowed to take as large a distribution from your retirement accounts as you want. But the IRS allows you to fulfill your RMD requirements only one year at a time. One of the common mistakes involving RMDs occurs when you donate the money to ­charity—and you don’t gift it in the most tax-efficient way. People who take an RMD and then use it to make a charitable contribution may not be able to deduct it on their income taxes, especially if they opt to take the new, higher standard deduction this year. Better: Take what’s known as a qualified charitable distribution (QCD) to give up to $100,000 annually to charities. QCDs are available only to owners of traditional IRAs who are age 70½ or older. You direct your IRA custodian to send a contribution directly to the charities of your choice. The distribution still counts toward your RMD for the year, but the amount is not included in your adjusted gross income. That gives you a chance to receive a tax benefit for your charitable gift even if you don’t itemize.